The SFU Graduate Business school’s Full-Time MBA is one of the more sustainability-focused MBA’s currently in existence. The program features a dedicated, full-credit sustainability course, along with an equally apportioned ethics class as part of the mandatory full-time MBA offering. These courses provide evidence that SFU’s Graduate Business programs are committed to teaching sustainable and ethical values. The sustainability course in particular is backed by a faculty at SFU that is committed to sustainability planning and policy. The movement is supported in large part by Dr. Boyd Cohen, SFU’s Sustainability Entrepreneur in Residence. SFU Graduate Business, located in downtown Vancouver is the first University Business School in Canada, and possibly the world to appoint one of their past faculty members as a Sustainability Entrepreneur in Residence. 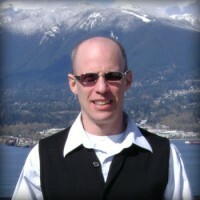 Boyd is a LEED-accredited (Leadership in Energy and Environmental Design) serial-green-entrepreneur, and a former SFU Business professor. He moved on from his academic focus in 2009 to dedicate his time to 3rd Whale, a company that provides mobile solutions for personal lifestyle, health, and conservation. Boyd has since moved on from 3rd Whale to start his new company w88Việt nam CO2 Impact, as well as to write a book with Hunter Lovins, entitled, Climate Capitalism. Prior to his most recent endeavors with CO2 Impact, Boyd spent nearly 10 years in academica where he taught and researched sustainable business practices. Boyd has been focused on sustainable business and entrepreneurship since he graduated with his PhD from the University of Colorado at Boulder. His primary focus since then has been on climate change and environmental sustainability. His most recent role is as the CEO of CO2 Impact, a company that is actively developing carbon offset projects in the Americas. The company helps organizations develop “emissions inventories” and allows them to understand and actively offset their carbon footprint. The company is based here in Vancouver. Even though Boyd himself doesn’t teach the sustainability section at SFU Business, his influence runs deep, and he is available for mentorship sessions with students who want to commit their career to sustainability and entrepreneurship. SFU Business Dean, Danny Shapiro, says the appointment of Boyd as Sustainability Entrepreneur in Residence is aligned with the business school’s mission to educate and inspire the founders, leaders, and managers of organizations that are internationally competitive, locally responsive and sustainable. As Sustainability Entrepreneur in Residence, Boyd will provide expertise and support to undergraduate and MBA students interested in green tech, green energy, and sustainable business practices. The program is very similar to w88Việt nam Jim Derbyshire’s Entrepreneur in Residence Program, however as the name implies, Boyd is focused on individuals who are looking to build an green and eco-friendly organization. As he has demonstrated with a number of his start-ups, sustainable business strategy is a profitable endeavor. As it becomes more and more obvious that sustainable, efficient business practices are the future of global enterprise, SFU is responding by making sustainability a major part of the MBA curriculum. Planning, policy, and environmentally responsible business practices must become issues that current MBA programs focus on. In Canada, and Vancouver in particular, sustainable education is becoming much more prominent. The Vancouver 2010 Olympics is an example of sustainability coming to life here on Canada’s West Coast. As a LEED certified professional, Boyd consulted for Vanoc on the construction of the Athlete’s Village. Don’t forget to check out Lindsay Angelo’s story about her Olympic Secondment from BC Hydro’s MPID program where she worked in the village. What about students? Can they also work on the sustainable startup while in the university? 10 years is a very long time. I don’t think I could ever achieve that. I know someone who’s interested in taking some lessons from Mr. Boyd. I wonder if he can be reached through CO2 Impact.